Hazel Dell is an unincorporated area of Clark County, Washington located north and west of Vancouver, Washington, USA. The area runs parallel to and is bisected by Interstate 5. The community of Hazel Dell is bounded by Vancouver city limits on the South with Burnt Bridge Creek being a natural physical boundary, Vancouver Lake to the west, Lake Shore to the northwest, Salmon Creek to the north, I-205/Barberton to the northeast and the communities of Rye and Minnehaha to the east. 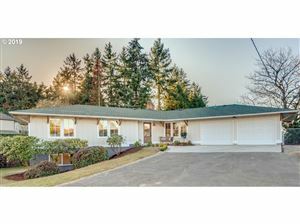 Much of Hazel Dell is occupied by business/working class home owners, in well established neighborhoods. The main business portion follows NE Highway 99, just east of I-5, generally, from 63rd St. to 99th St, with businesses east and west of Hwy 99 on NE 78th and 99th Streets. There are a few businesses and shopping centers on NE Hazel Dell Ave., just West of I-5, scattered from 63rd St to 99th St. Hazel Dell's business and services include: a cinema-plex, Target, Fred Meyer, Safeway, Wal-Mart, Winco, McDonald's, Taco Bell, Baskin-Robbins, Skippers,Burgerville, KFC, Husted's Hazel Dell Lanes, Five Guys Burgers and Fries, Buffalo Wild Wings, Radio Shack, LA Fitness, several convenience stores, used car dealerships, Auto Parts stores, pawn shops, taverns, lounges and pubs, motels, as well as many other franchise eateries, several banks and realty, medical and dental offices.